This is an simple Scalping System that works also at the higher time frame , 3 candles reversal intraday system is based on the reversal indicator. Time Frame 15 min, 30 min or higher but with support and resistance indicator. Buy when the JMO indicator cross upward. Sell when JMO Indicator cross downward. With fast profit target (15 min: 8-10 pips, 30 min: 12-16 pips or at the pivot points levels). Stop loss 15 pips below or above the entry bar. 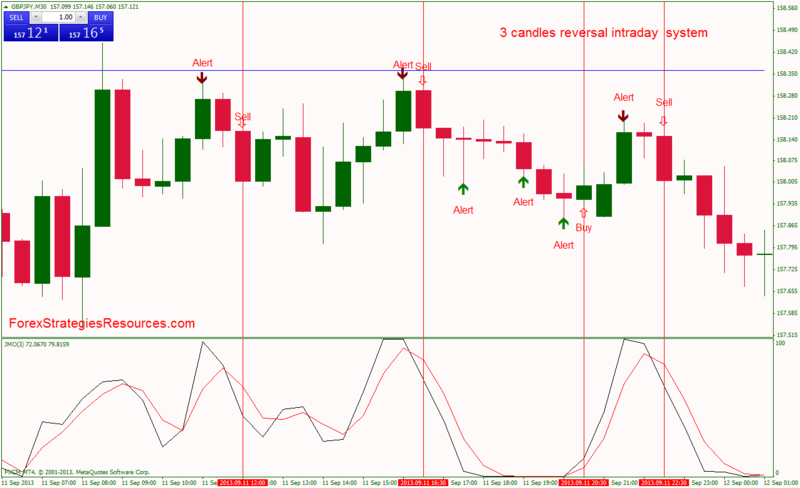 3 candles reversal intraday system Template and Indicators. 3 candles reversal with pivot point levels and stochastic indicator. Es posible añadir a el indicador una alerta con mensaje, cada vez que aparece la flecha? Anyone tried this?Does this works on lower TF? 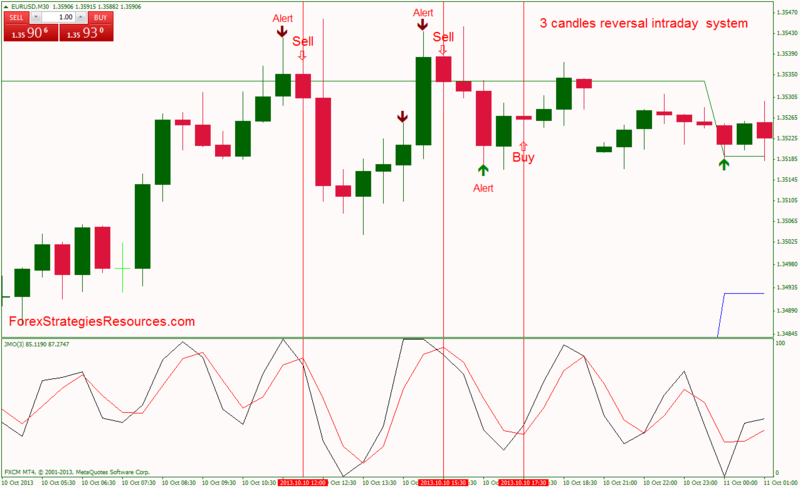 The setting of the reversal indicator is 3 Bars (candles). Of this system to the site have posted the version for Binary Options, I'm considering whether to post and share. On Binary options do not publish all the systems that they send us. Why this system is called "3 candles" ? maybe because you have to open a trade within 3 candles, after the arrow ?